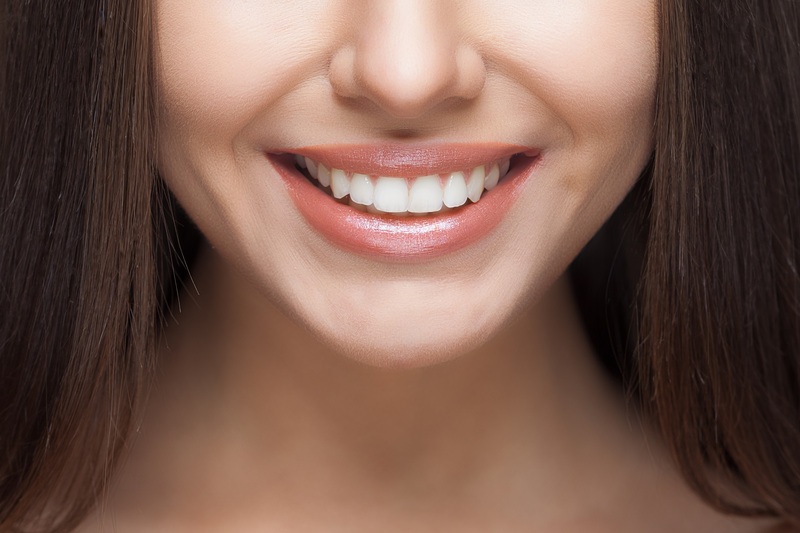 Oral Hygiene: Spend More on Yourself, Less on Your Dentist. "" Brush your teeth, crush your cavity! 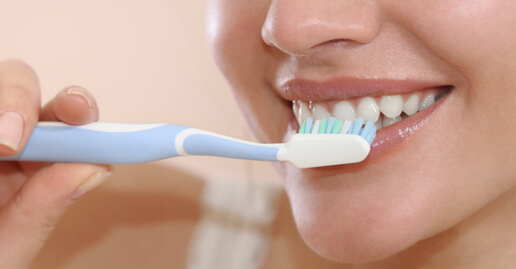 Daily brushing and cleaning between your teeth is important because it removes plaque. 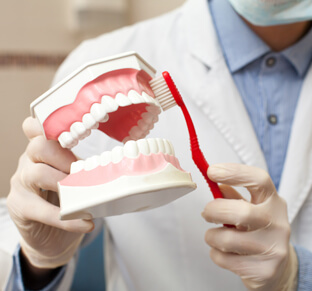 If the plaque isn’t removed, it builds up and can cause tooth decay and gum disease.Brush your teeth twice a day with a soft-bristled brush.The size and shape of your brush should fit your mouth allowing you to reach all areas easily. Replace your toothbrush every three or four months,or sooner if the bristles are frayed. A worn toothbrush won’t do a good job of cleaning your teeth.The best way to brush is by placing your toothbrush at a 45-degree angle against your gums and gently moving it in a circular motion, rather than a back-and-forth motion. Grip the toothbrush like a pencil so you won't scrub too hard, and make sure to avoid these other tooth-brushing mistakes. 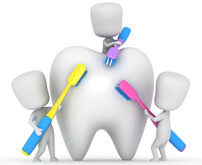 Of course, brushing your teeth is only a part of a complete dental care routine.